By the beginning of the summer navigation period, which starts on March 27, no aircraft will remain in the fleet of Aeroflot subsidiary OrenAir. The carrier has already begun the aircraft return procedures with its lessors. Consequently, all of the 19 aircraft – three Boeing 777-200ER and 16 Boeing 737-800s will enter service with the renewed Rossiya Airlines. 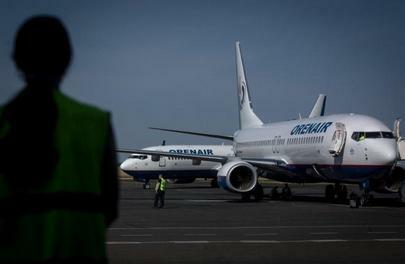 As of today, one of OrenAir’s aircraft, a Boeing 737-800 with tail number VQ-BJC, has been transferred to Rossiya’s fleet and is currently based at Domodedovo Airport. The St. Petersburg-based Rossiya will have to hire additional personnel to support operations of the aircraft types, which are new for the carrier. Some of OrenAir’s planning and engineering specialists are expected to be relocated to St. Petersburg. No decision has been made so far as to how many aircraft, if any, will be based in Orenburg. However, Rossiya has opened an affiliate office in that city, in addition to another one of Aeroflot’s subsidiaries, the new MRO provider Vnukovo-based A-Technics. It is not yet known whether OrenAir’s maintenance base will become part of A-Technics. Donavia, Aeroflot’s subsidiary in Rostov, has also started the process of transferring its fleet to Rossiya. A-Technics does not yet have affiliate offices in Rostov, nor St. Petersburg.